This helmet was spotted by a WarHats customer at a local car boot sale. 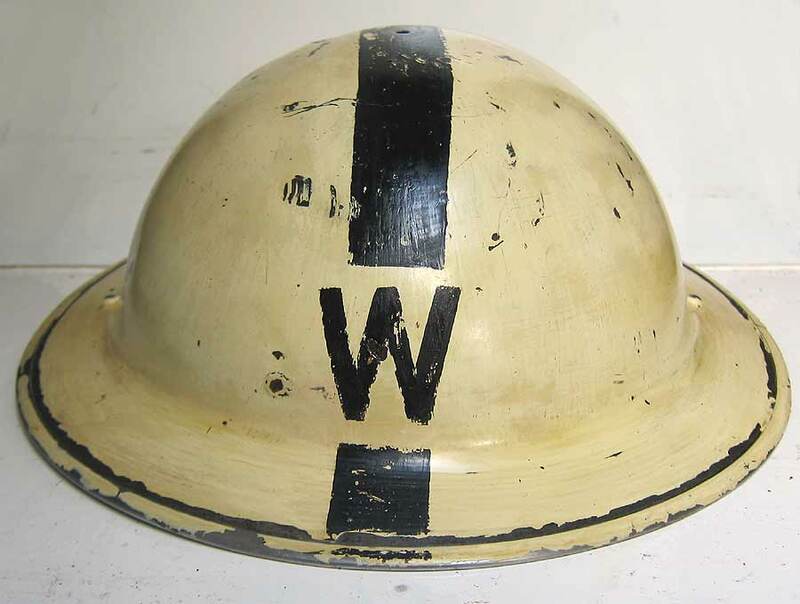 Not only was it dated '1939' but they could see the outline of a 'W' underneath the green paint. 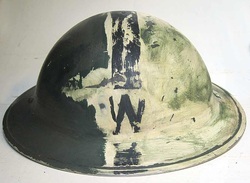 Apparently the helmet was used as a fancy accessory and the shop owner had painted it in green. 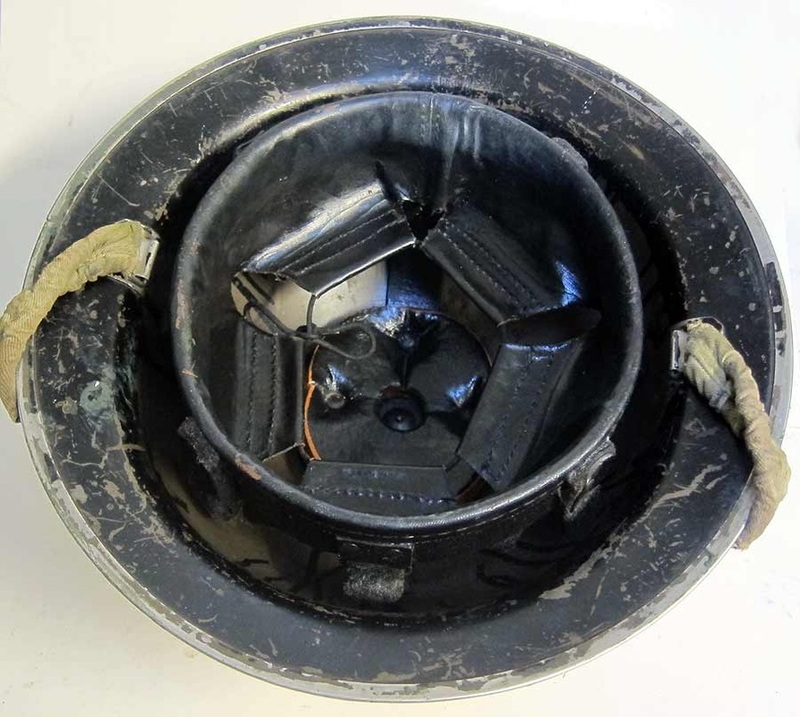 The helmet was quickly dispatched to us and we got to work on it! 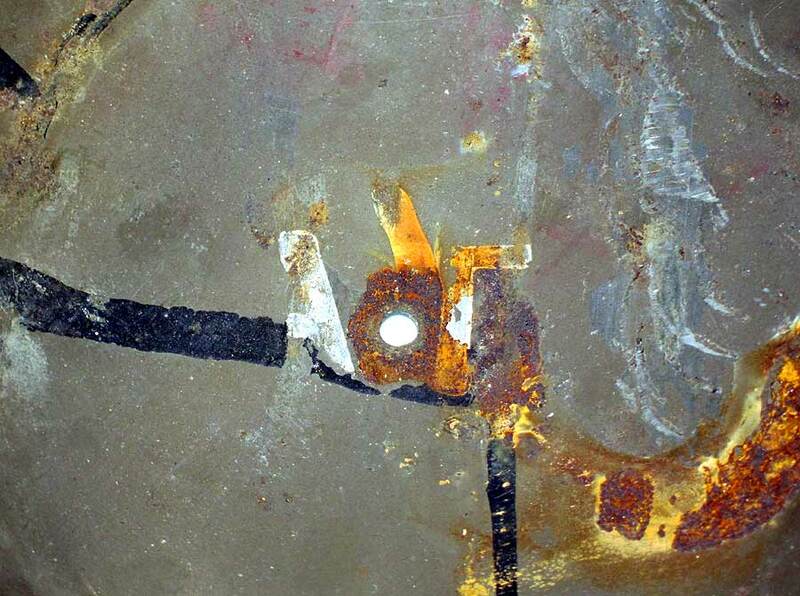 The difficulty with removing paint is that if you remove too much you will start to remove the original paint. We think we have done an excellent job retaining as much of the original paint as possible. This took several days of painstakingly removing sections of paint. The second problem of removing paint is that that it removes the shine from the original paint work. But thats ok we have a cure for that too. We also had to remove some quite large dents in the helmet, so our panel beating hammers came into play! 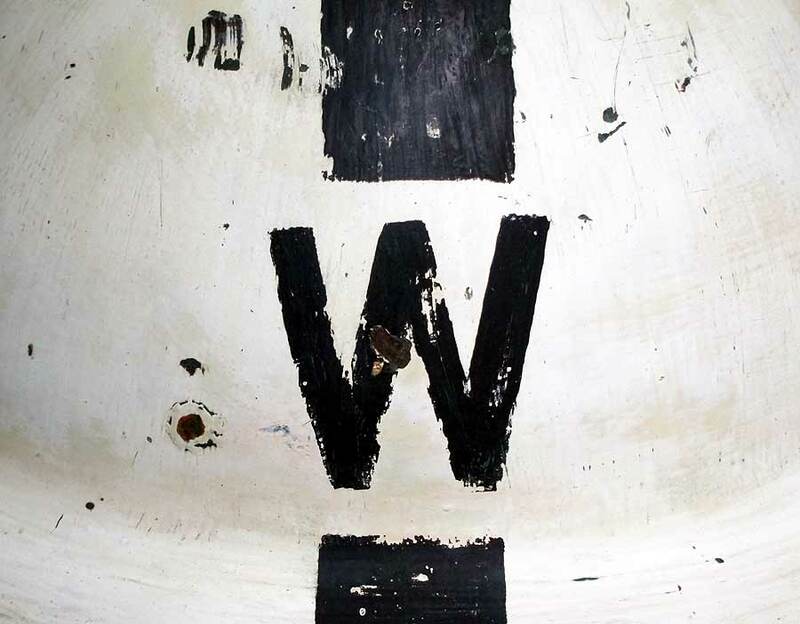 Notice there are two 'W''s one on the front and one on the rear, our customer did not notice this! 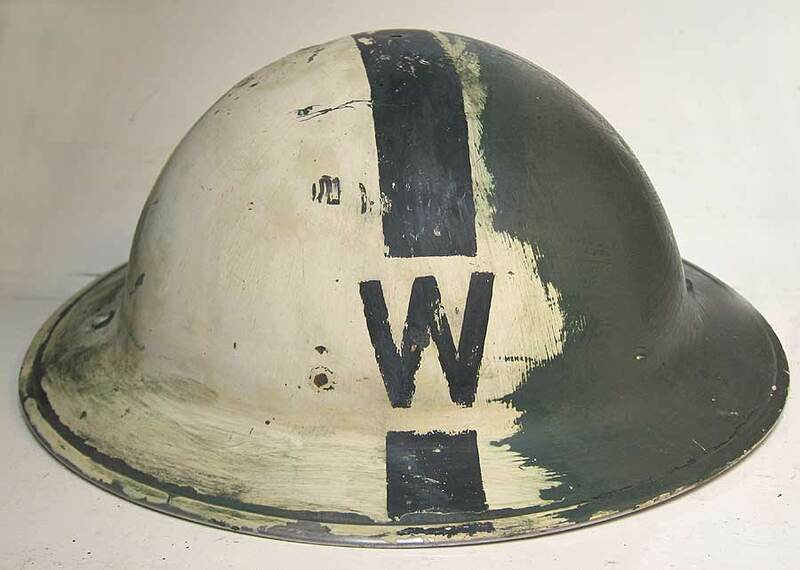 White District Wardens helmets are becoming quite rare, so it was a pleasure to return this one back to original WW2 state. We liked it so much we bought it from our customer! Tommy Helmet with liner removed - notice 'AT' marking. 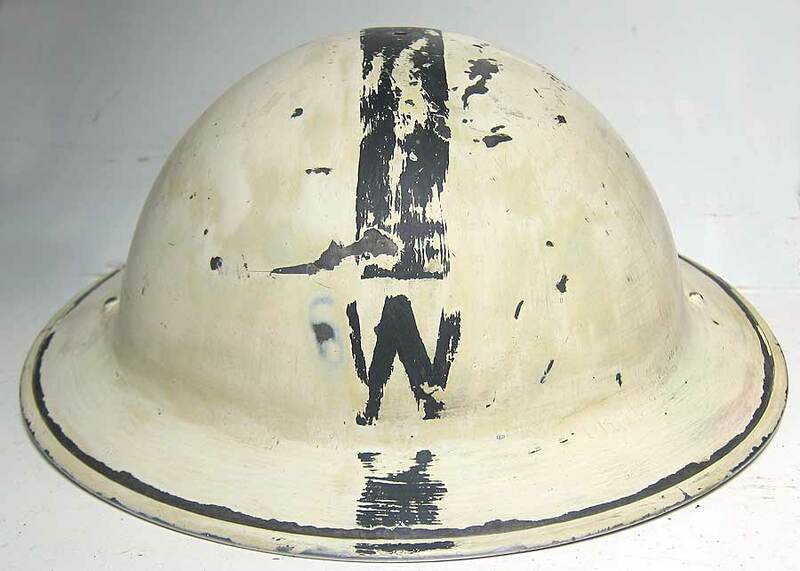 Wardens Helmet with paint removed - several hours work. Front of Wardens Helmet with more paint removed and original paint cleaned up. 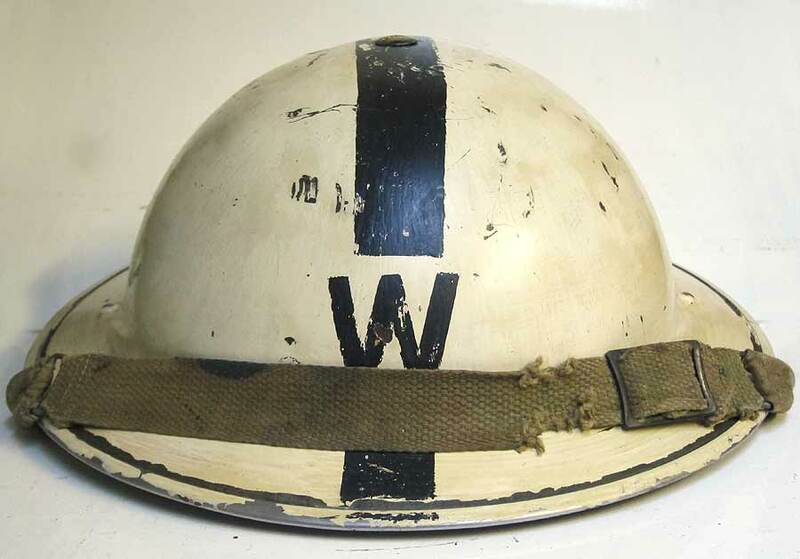 Front of Wardens Helmet 'W' showing through well. 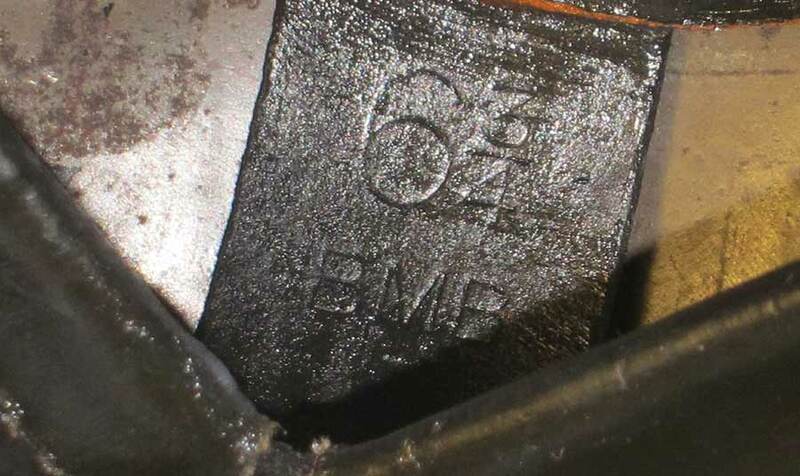 Wardens Helmet Liner Marking 'BMB' and size. 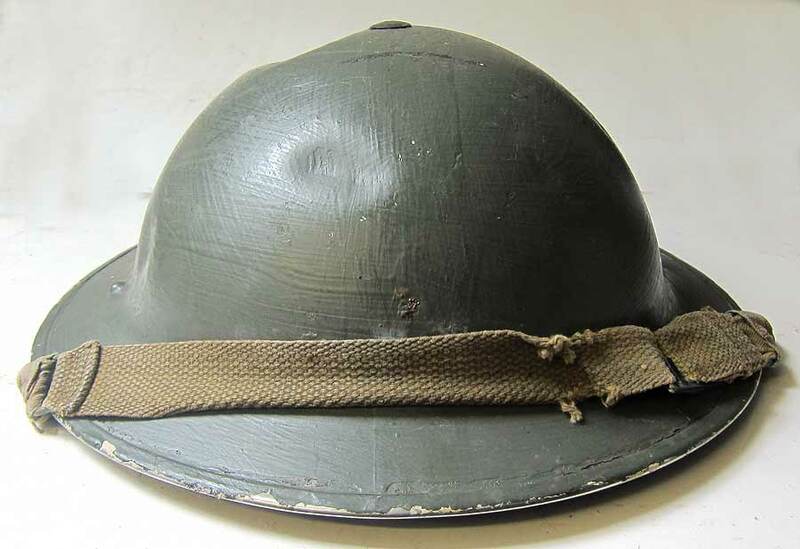 Front of Wardens Helmet With 'yellow' tint added to restore its age. 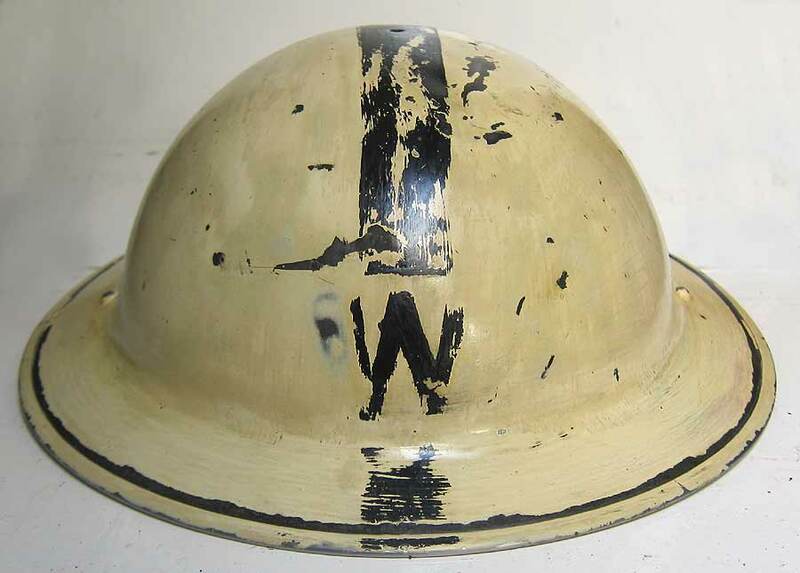 Rear of Wardens Helmet with 'yellow' tinting to restore its age back. Restored - inside. Notice it was painted in factory brown before being painted black. Wardens Helmet fully restored. notice tinting has flattened down and it has an original sheen.